This decision comes in the wake of the White Nights festival, an extravagant (and expensive) month-long program of exhibitions, festivals and even an “Occupy Perm!” (this is becoming quite an unfortunate trend…) One of the exhibitions contained images by a little-known artist Vasily Slonov, who offered a series of works cheerfully titled Welcome! 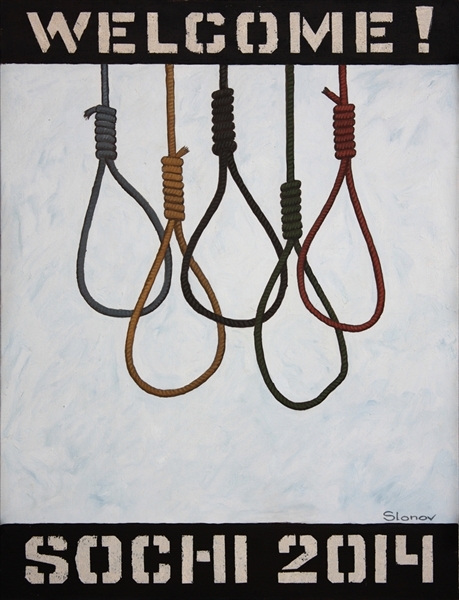 Sochi 2014, delivering a less than cheerful take on the upcoming Olympics (ie, the Olympic rings turned into nooses.) Intended to be an international point of pride for Russia, the Sochi Olympics are turning out to be more of an embarrassment, with charges of disreputable labor practices and a ballooning budget of now more than $50 billion rubles (most of which is rumored to have disappeared into local pockets.) With this heightened sensitivity in mind, Slonov’s work was promptly censored, on the grounds that the artist was using the Sochi symbols without permission. More than this, the Ministry of Culture insisted that Guelman be fired, for allotting public funds from PERMM to support this exhibition. 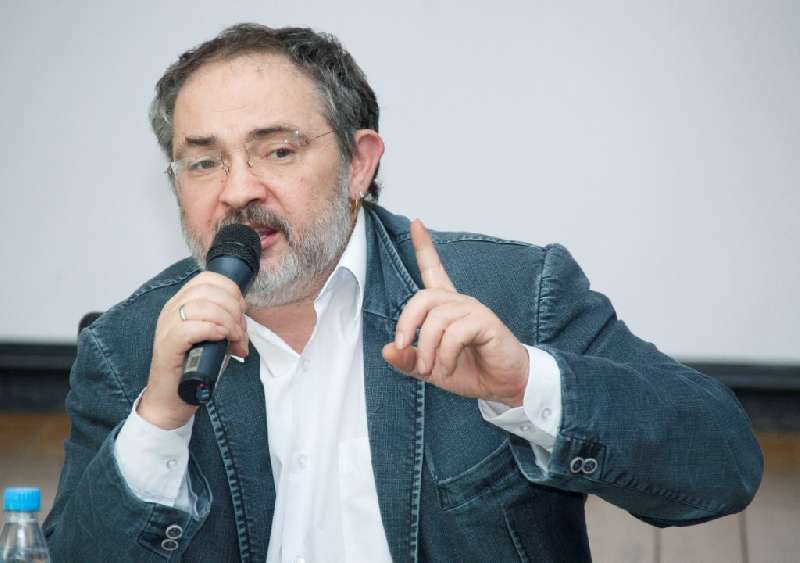 While originally PERMM mentioned an open call to find Guelman’s replacement, Guelman himself leaked over Twitter that local curator Elena Oleinnikova would be taking his place. We shall soon see if all the buzz around the burgeoning scene in Perm remains once Guelman’s gone. This entry was posted in Uncategorized and tagged Censorship in Russia, Elena Oleinnikova, Marat Guelman, Perm, PERMM, Vasily Slonov. Bookmark the permalink.